If you’ve watched The Fast and the Furious: Tokyo Drift, you would remember this scene where someone said he wouldn’t want his machai to be seen going around in a Hyundai. Well, I don’t think he’d mind this particular Hyundai. 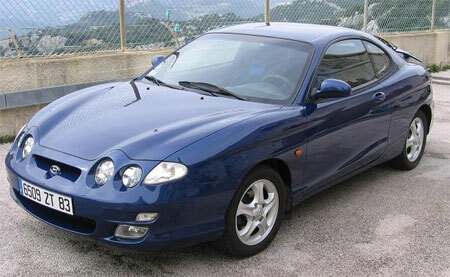 This Hyundai Tiburon (known on our market as the Hyundai Coupe) has two engines, both 2.0 litre turbocharged engines. You have one at the front making 309hp, and one at the back making 317hp, resulting in a total of over 600 horses and a technically an all wheel drive system. It does the quarter mile in 10.95 seconds on street tyres. The car uses two independently controlled automatic transmissions, giving it the ability to operate in both drive and reverse at the same time! The smoke caused by the wheelspin as both engines threathen to tear the chassis apart in opposite directions guarantees a win in burnout contests effortlessly. Video after the jump. Next Post: Research Octane Number: What is RON95?